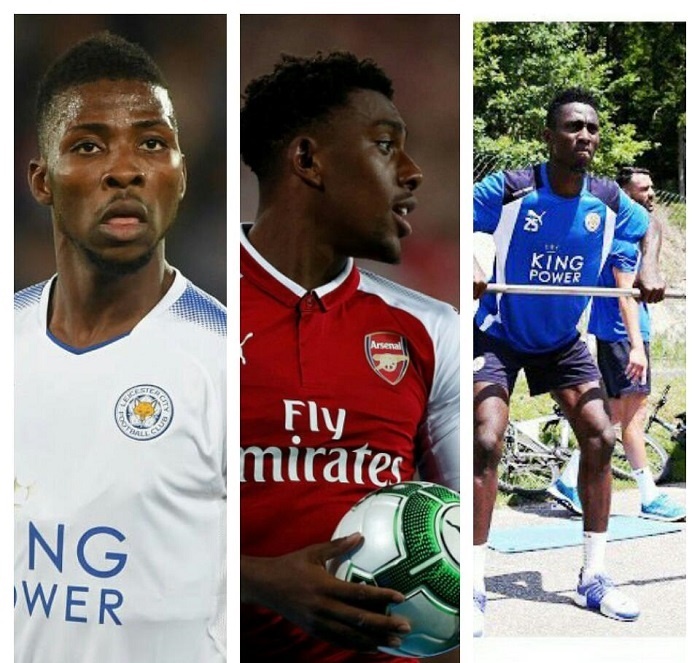 Nigerian internationals, Alex Iwobi, Wilfred Ndidi, Kelechi Iheanacho are still pretty young but they are getting recognition globally. The trio have been listed among the 100 most valuable U21 players in Europe’s top five leagues. This is according to a new CIES Football Observatory which ranked the players based on increases in their transfer value. Ranked 34th, €31.5m Iwobi is the only Arsenal player on the list led by Paris Saint-Germain forward Kylian Mbappe (€182.8m). Nigeria and Leicester City midfielder, Ndidi, berths at 11th after seeing his value surge by 33% to €64.8m while his compatriot and teammate, Kelechi Iheanacho, whose value declined 13% to €19.4m is ranked 56th. Other players of Nigerian descent on the list are second placed Dele Alli (€180.2m); Tammy Abraham (25th, €39.7m); Ademola Lookman (71st, €14.7m); Jordon Ibe (86th, €1.7m) and Dominic Solanke (55th, €19.7m). Solanke’s value rose 149% in three months! Premier League players continue to dominate the top 10 with Manchester City’s Gabriel Jesus, Manchester United forward Anthony Martial and Tottenham defender Davinson Sanchez all present. Real Madrid winger and Champions League final goalscorer Marco Asensio comes in at 14th.